Discover the best way to get the full power of your Lowrance AirMap 2000C system compared to heads-down, in-cockpit training. Discover the best way to get the full power of your Lowrance AirMap 500/1000 system compared to heads-down, in-cockpit training. The most thorough multimedia guide to safe airport ground operations! A computer-based tutorial simulator teaches the use of VOR, ADF, HSI, RMI and GPS indicators. 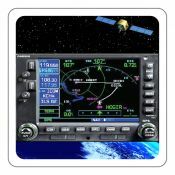 A visually-oriented trainer designed for practicing and developing VOR and NDB navigation skills on your home computer. Learn to read METAR's, TAF's, and Pilot Reports in an interactive environment! This computer-based training program teaches the correct ATC Departure Clearance phraseology and expert techniques. Interactive software! A computer-based tutorial for both Windows and Macintosh. The Gleim SkyView Training Course is designed to help you confidently master the Dynon SkyView integrated avionics system. Learn to use the Garmin GNS 530 (and 430 with proficiency). This is an innovative and advanced, computer-based training program that teaches the skills required to master the operation and confidently fly the G1000. 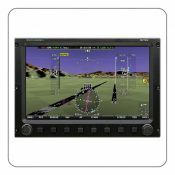 Designed for pilots who want to manage challenging IFR situations with their Garmin GPS and harness all of its powerful features. Innovative E-Learning program will teach the skills required to master operation of the G1000.